Is it Time? 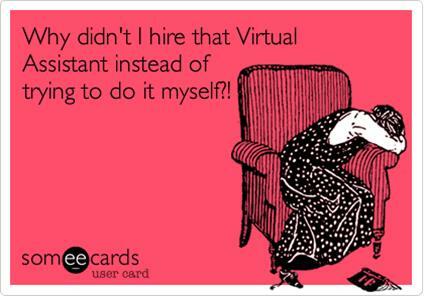 | Let's Talk... About Virtual Administrators! Are you caught between a rock and a hard place? Is it time for an administrator but not sure if you can afford one? Read on for reasons you can’t afford not to. Is all your time spend on tedious uploads, downloads and everything in between? What about going through tons of email and filtering out of the non-essential stuff? You know, all the spam that you hate. Do you dislike taking the time to keep up databases, do research and on and on and on? Of course you don’t! It’s really easy to delegate things of this sort to an administrator and free your time. After all, your time is valuable! OK, admit it…you don’t know it all! We, as admins, are able to keep up with the latest technology. We know how to streamline tasks. It’s our job, not yours. You need to run your business. Ah, saves you money. Did your ears perk up? Whether it’s ongoing (preferable) or as you need us (not so preferable LOL!) hiring an administrator will save you in the long run. No physical constraints, no employee benefits (we’re business owner’s too), well, you get the picture. Your admin knows how to keep you connected or they know someone that knows someone (depending on the situation, of course). We know people! And by making sure you’re at the top of your game we stay at the top of ours. Win-Win for all. So by partnering with a completely trained administrator at Office Solutions 4 U we offer a skill set of services to assist you in every aspect of your real estate business. Don’t hesitate and cause your business to suffer the consequences. « Are you in today’s digital age or are you still in the analog era?